Arthritis in old dogs is one of the main causes of lameness and joint pain in dogs. It affects about 80 percent of dogs who are 8 years old or older. 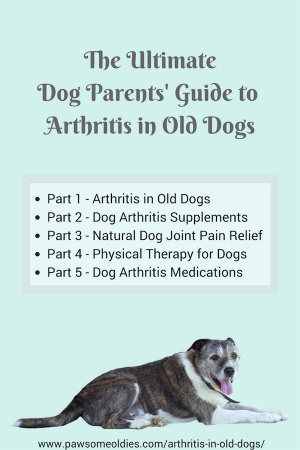 In this and several other posts to come, you will find an ultimate dog parents’ guide to joint pain and arthritis in old dogs. We will look at what arthritis is, its causes and symptoms, and various treatment options. I will also give you information on common conventional arthritis medications and supplements. Finally, I will write about some natural joint pain relief. Phew! A lot of information to cover, but hopefully it will be of help to you and your pawsome oldies! Let’s start Part 1 of our “Ultimate Dog Parents’ Guide to Arthritis in Old Dogs”. There are different types of arthritis in dogs, depending on the cause. This is the most common type of arthritis in dogs. Osteoarthritis is also known as degenerative joint disease. Many people use the terms arthritis, osteoarthritis, and degenerative joint disease loosely to refer to a painful condition due to degeneration of the joint. Causes of osteoarthritis in dogs can be “developmental” or “acquired”. Developmental causes are genetics by nature. They are inherited anatomical problems that affect the joints, such as hip dysplasia and elbow dysplasia. These problems develop in the joint while the dog is growing. Sometimes even if these problems are treated (e.g. by surgery) when the dog is young, arthritis can occur when the dog becomes older as the problematic joint deteriorates with age. Acquired arthritis is not genetic-related, but instead occurs later on in a dog’s life, due to traumatic injuries (e.g. car accidents), excessive jumping, torn ligaments, etc. Rheumatoid arthritis is another type of arthritis that is caused by an immune-mediated disease. This occurs when the immune system attacks the joint cartilage. It can affect multiple joints (e.g. shoulders, knees, wrists, ankles, etc. ), causing stiffness and pain. Rheumatoid arthritis is not as common in dogs. Infection of a joint is rare in dogs. Occasionally, a penetrating wound (e.g. a bite) that goes right to the joint may cause infection, which has to be treated immediately with antibiotics. A joint infection that is not treated properly or in a timely manner will lead to breakdown of the cartilage. The result? Osteoarthritis. No matter the cause, arthritis in old dogs is the result of years of progression of joint deterioration. The damage to a dog’s joint causes inflammation, which causes more damage to the joint. The problem progressively gets worse as the dog gets older. It’s a downward spiral! While arthritis in dogs is common, some lucky ones (like my dog Hana) don’t have it. So… who are at greater risk of developing arthritis? Size matters when it comes to joint pain and arthritis. The bigger the dog, the more likely it is for the dog to develop joint issues. By “big”, I mean large breed dogs and those who are overweight. This is a no brainer, and it’s true for both people and dogs. The older we get, the higher the risk of arthritis – simple wear and tear! If your dog was very active (e.g. a working dog) when young, chances are he has been putting a lot of stress on his joints. It follows that he has a higher chance of arthritis in his golden years. There are inflammatory foods and anti-inflammatory foods. If your dog has been eating a lot of foods that are inflammatory in nature, that could increase his risk of getting arthritis. As mentioned above, some form of arthritis is the result of inherited joint abnormalities, and certain breeds are more susceptible. They include Golden Retrievers, Labrador Retrievers, German Shepherds. It has been found that dogs with diabetes are more prone to develop arthritis. In my post on Dog Joint Pain, I have written about the various signs and symptoms that a dog may show when he has pain in the joint. Please take a look at that post. Controlling the weight of oldies is important since obesity causes a lot of health issues, one of which is arthritis. Shedding the extra weight may just be the thing to delay or even prevent the need for surgery. 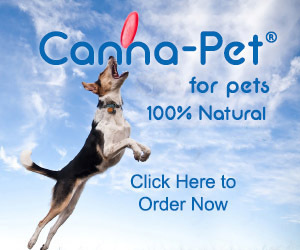 Your dog may no longer need pain medications, or she may need less of the drugs. Your dog can improve her quality of life and may live longer. If your dog is seriously overweight, work with your vet to come up with a weight loss program tailored to the dog’s age and health. Also see this page for other dog weight loss tips. Joint support supplements, such as glucosamine, chondroitin, Omega-3 fatty acids, can be used to reduce inflammation and support joint health. 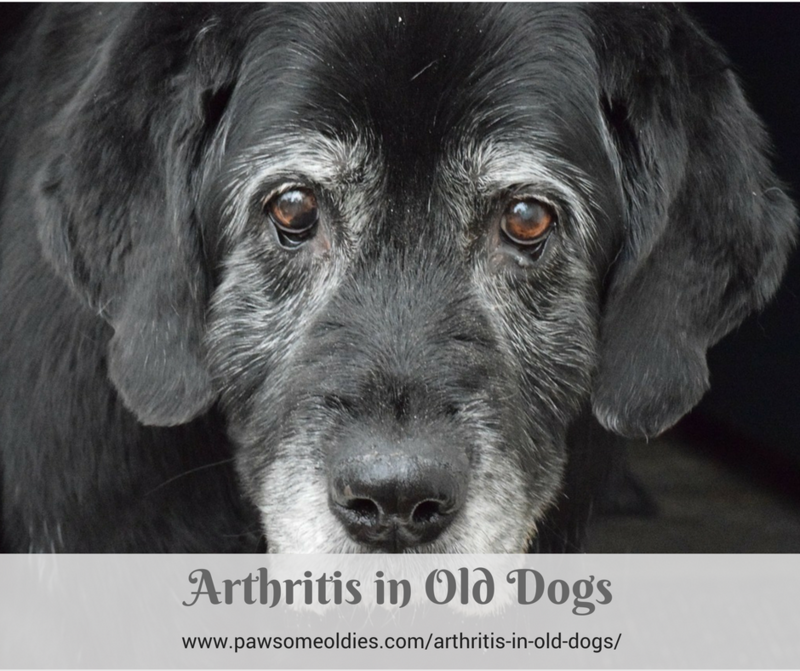 See Part 2 of our Ultimate Guide to Arthritis in Old Dogs for more information. Natural remedies, such as herbs, acupuncture, aromatherapy, also play a big role in helping dogs with arthritis. They can be used to relieve pain, reduce inflammation, and reduce stress that comes with the pain and discomfort. See Part 3 of our Ultimate Guide to see what kind of remedies are available. Physical therapy (rehabilitation) and home exercise can greatly help arthritis in old dogs. See Part 4 of our Ultimate Guide to Arthritis in Old Dogs for more information. Dog arthritis medications usually involves the use of anti-inflammatory drugs such as NSAIDs or steroids to control pain and inflammation. These drugs can be effective but come with side effects. See Part 5 of our Ultimate Guide for more information. Some of you may wonder, “Which treatment options should I use for my old dog?” Or you may wonder whether it’s best to start off using natural remedies and supplements, and if they don’t work, move on to something more potent like NSAIDs. Unfortunately, there’s no one-size-fits-all type of answer. It all depends on factors such as the age of your dog, the severity of the arthritis, and how much pain the dog is in. While it is true that natural remedies are milder and safer, it may NOT be the first treatment of choice for YOUR dog. For example, if your dog has severe pain and his quality of life is next to zero, it’s not a good idea to try different natural remedies while your dog is suffering, is it? Natural remedies usually take time to work. In such a case, to improve your dog’s quality of life, it’s better to use arthritis medications short term (2 to 3 months) to ease your dog’s pain. Once the pain has subsided somewhat, you could then consider complementing the drugs with supplements and natural remedies, so that over time maybe lower drug dosages can be used. Sometimes, eventually you may even get the dog off NSAIDs completely. 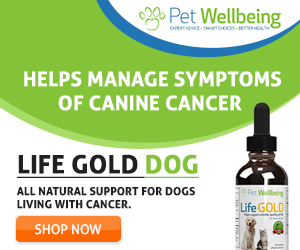 On the other hand, if your dog has just been diagnosed with osteoarthritis and has only started to show some signs of discomfort (i.e. not in great pain), then supplements and natural remedies may well be sufficient to manage the problem. The bottom line? Be flexible and open-minded. It’s also beneficial to work with a holistic vet who is willing to accommodate different treatment options (both conventional and complementary). First and foremost, work with your vet to come up with a treatment plan. Use diet and exercise to control the dog’s weight, improve his health and boost his immune system. Get him an orthopedic bed. Keep him warm – a blanket would be nice in the chilly winter nights. Use elevated food and water bowls so he doesn’t have to strain his neck and back while eating and drinking. Get a ramp for him to go up and down the sofa, and in and out of the car. If your house has wooden floor, cover the area where your dog spends most of the time with a rug to prevent him from slipping. Some dog parents also suggest using yoga mats on the floor for traction. If your dog has trouble getting up or down the stairs, considering getting a sling or rear-end harness to help his mobility.